In this age of beauty and glamour, the way we look and present ourselves to the outer world has a strong impact on our career and lives. But, with the influence of stress, pollution and harsh sun, the premature aging, age spots and other skin issues have become inevitable in recent times. Inexpensive creams and beauty products cannot repair all the damages done to the skin, hence, the need to seek aesthetic treatments from a skilled cosmetic physician is increasing day by day. Crow’s feet, frown lines, forehead lines and other fine lines and wrinkles are the most common signs of aging against which anti-wrinkle injections are considered to be most effective. But, when it is your face as well as money on the line, one can never be too cautious. Therefore, before opting for any cosmetic or aesthetic procedure, there are a few essentials that you should be aware of. 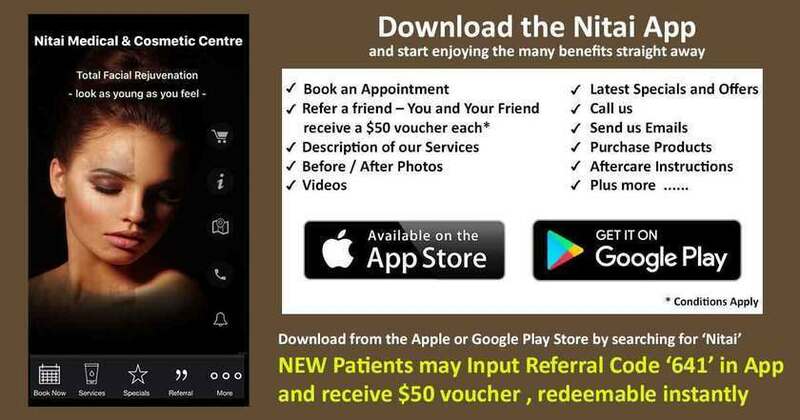 Here, we have enlisted all the questions and concerns on our premium quality anti-wrinkle injections that are frequently asked by our patients at Nitai Medical and Cosmetic Centre in Melbourne so that you can take the right decision. What are wrinkles? How are they formed? When we conduct any kind of facial expression like we smile or frown, the inner facial muscles contract but later on they retreat back to their original position. But, when we age, the structural proteins called elastin and collagen reduces from our skin. As a result, our skin loses its elasticity. After that, when our face makes any sort of expression, the muscles cannot stretch back to its initial position, thus generating unwanted creases in the skin, which are called dynamic lines and wrinkles. Over time, these dynamic wrinkles turn into static wrinkles, which stays in our face even when the inner muscles are at rest. Pollution, harmful UV rays, smoking and stressed lifestyle also contributes to the increment of facial wrinkles and folds in the face, thus stealing away its youth. What are the non-surgical anti-wrinkle injections? At Nitai Medical and Cosmetic Centre, a special kind of purified protein is injected into the skin to relax the particular wrinkle-causing facial muscles. This protein is derived from specific lab-cultured bacteria, which effectively reduces the appearance of lines and creases while rejuvenating the skin from within. If one wishes to refrain from painful surgeries, then this anti-ageing treatment is a very good alternative. How do our premium quality anti-wrinkle injections work? The lines and wrinkles that appear in our face are actually the imprints left behind after the contraction of facial muscles, due to the lack of elastin and collagen proteins in the skin layers. A series of anti-wrinkle injections are applied to those specific muscles that are responsible for creating creases and lines with the help of a fine needle. The injectable liquid then relaxes the muscle, thus arresting it from making any sort of contraction, which in turn stops the appearance of fine lines and wrinkles. This anti-aging treatment has proved very effective among our patients as it efficiently smoothens the lines without any stern side-effect. How much time do these anti-ageing injections require to show results? Generally, to complete a session of this anti-ageing treatment, it requires 10-15 minutes. But, for the effect of the anti-wrinkle injection to surface, it might take nearly 2-3 days and only after a lapse of full seven days, the full action of the treatment can be witnessed. Is anaesthesia required to sustain pain during this anti-wrinkle treatment? The premium quality anti-wrinkle treatment used at Nitai Medical and Cosmetic Centre is regarded as painless, compared to other surgical procedures. Although, slight discomfort or irritation might occur during the ongoing process, that lasts only for seconds. Hence, mostly anaesthesia is not required during the treatment. What is the longevity of the anti-wrinkle injections? As per our estimation, the effect of the treatment lasts perfectly for four months, but, after that, the folds and fine lines start re-appearing. Albeit, those who frequently repeat the anti-wrinkle treatment might have better and longer effect. What are the primary regions that are targeted with this premium quality anti-aging treatment? The wrinkle removal injections prove very impactful against the wrinkles in the upper face area, i.e., around the corners of the eyes and temple, such as frown lines, forehead lines, crow’s feet, etc. Does this treatment increase the appearance of wrinkles after the effect of the anti-wrinkle injections subsides? Once the injection is applied into the skin, it relaxes the facial muscles, thus easing the expression lines that appear. With time when the effect of the injection fades, the old lines and wrinkles start re-surfacing. If you do not desire to continue with the treatment, then the condition of the skin goes back to the way it was before the treatment. The halt from the anti-wrinkle injection does not increase the appearance of wrinkles, it merely takes the skin back to its former position. Will this anti-aging technique freeze our facial expressions as well? It will definitely not freeze up the facial expressions when done by a professional cosmetic physician. This prescribed drug must be injected into the specific wrinkle-causing muscle only. The untreated muscles stay unaffected and can be contracted easily without any discomfort. The impact of the treatment rests a great deal on the dosage used for the treatment and the skill of the doctor in targeting the precise facial muscles without any error. What are the possible side-effects of this anti-wrinkle treatment? When this premium quality anti-wrinkle injection is used in proper dosage, it produces negligible concerns. But, in some cases, this injection might cause subtle discomforts which are temporary and vanishes completely within a week. Probable side-effects include headache, nausea, pain, burning sensation, itching, swelling, bruising, redness at the injection site, drooping eyelids or eyebrows, and flu-like symptoms. These symptoms pass within a week, but if they persist even after that, then it is best to refer to your physician immediately. All known symptoms are discussed during the consultation with the doctor. Can this anti-wrinkle injection be used in combination with other cosmetic treatments? Definitely, the anti-wrinkle injections can be used with other anti-ageing or skin treatments such as dermal fillers, laser therapy, etc. for enhanced results. But, only after a proper consultation from a skilled practitioner, you can understand which combination treatment will be right for you. When you look beautiful, you feel blissful. At Nitai Medical and Cosmetic Centre, we are passionate to help you reach your very best self. So, if you have any further query on other anti-ageing or skin treatments, visit us at www.nitai.com.au. Previous Previous post: Do You Know About These Amazing Dark Circle Removal Treatments in Melbourne? Next Do You Know What are Acne Causes? Learn The Tips To Cure Acne.